With the demise of the Pogues and Shane's less than prolific release of new material, it's nice to know that there are other bands following in their wake. Of course it was alot easier to sample these artists before the corporate wags and their henchmen in the courts shut Napster down, but I encourage anyone who likes the Pogues to give any of these bands a shot. 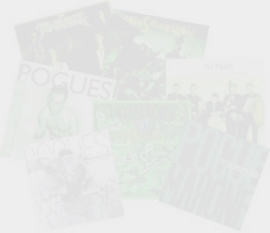 While none of them capture the Pogues' spirit completely, and none, to my ears, match the Pogues (although Flogging Molly is coming real close), they are definitely worth a listen. If anybody has any missing links or knows of other bands, feel free to email me and I'll add it.